Tiny Troopers has enjoyed success on iOS devices, and now the strategy/action game is now available as a digital title on PC via Steam. With colorful visuals, simple and intuitive controls, a rapid pace and clear objectives, Tiny Troopers is a lot of fun in a small download and affordable asking price. The main bulk of the game is split into chapters with roughly ten sections in each chapter that contain various missions to complete. Objectives start out simple enough, with players asked to eliminate all enemies and make it to the pick up zone, and escorting A.I characters to safety. Later on you'll be asked to destroy enemy structures, survive for a set period of time, and other increasingly difficult objectives. Every successful kill or completed objective will give you points to increase your soldier count and use power ups to help on the missions in the game. These points can be spent in the store, which can be accessed on missions, so you can give yourself some extra help before and during the start of the game. 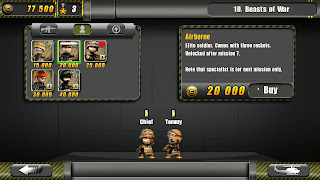 The troopers themselves can be swapped out or upgraded, and there are various types to use such as the grenade specialist and typical assault soldier, which can be boosted with specific power ups you can purchase. 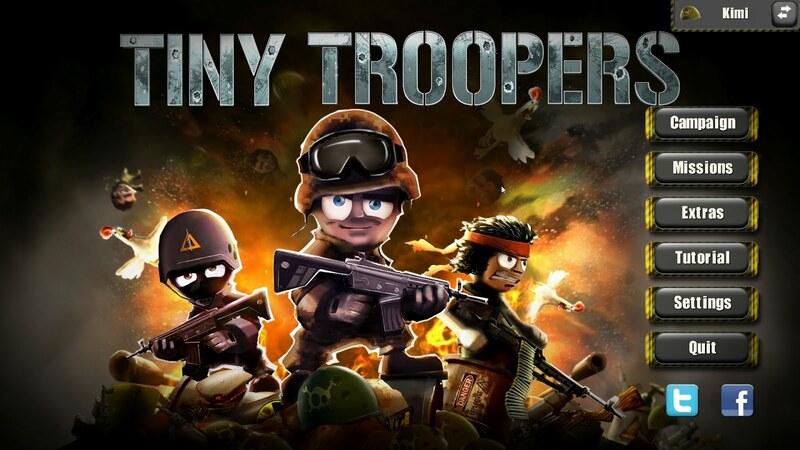 Aside from a few keyboard commands, Tiny Troopers will be mostly controlled from your mouse, with the left mouse click used to move the troopers around the environment, and the right mouse click to shoot. Using shift, control, or space allows for secondary usage of your weapons or power ups such as grenades and rockets. The game’s missions will last you a couple of hours, but you can always go back and increase your score and utilize different troopers and power ups to see how missions can be completed in various ways. There are also Steam achievements to unlock, so you can add more points to your account. 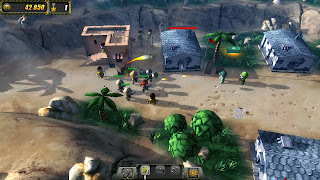 Visuals are nice and cartoony, and the soldiers’ voices are squeaky yet commanding as they bloody the opposing enemies. 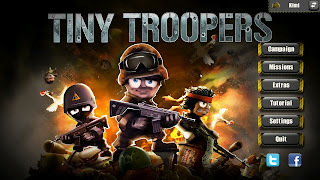 For $10, Tiny Troopers is a fun title that translates well to the PC with the mouse as the primary way to play the game. If you’ve played the iOS version, you’ll be able to easily transfer over and play this version.